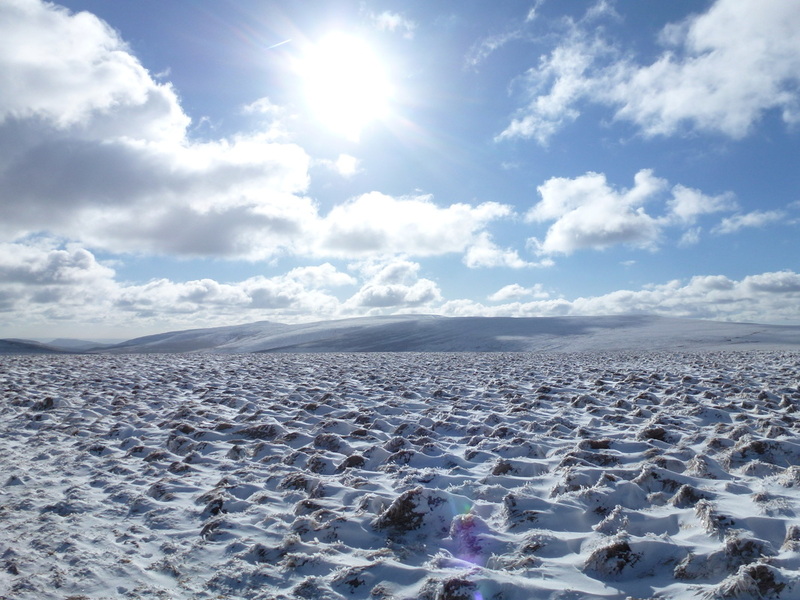 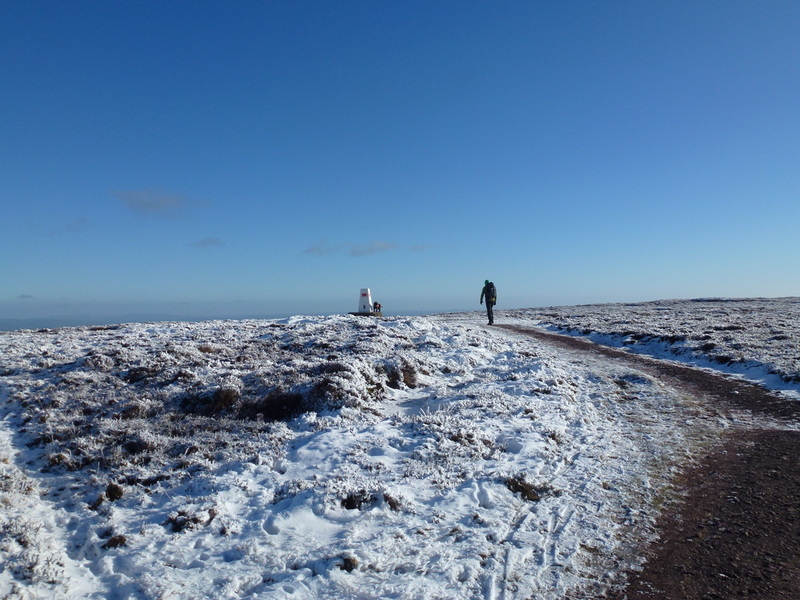 Gloriously sunny but cold, particularly on the tops. 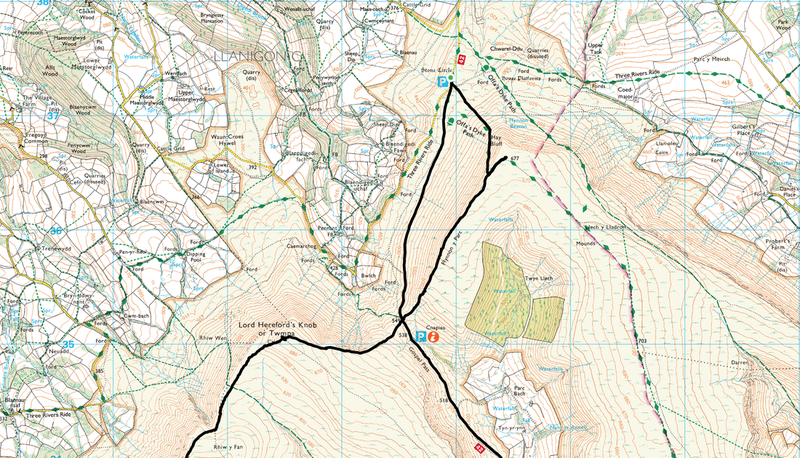 Living not too far away from Hay on Wye we are very familiar with this walk having done various sections of it on separate occasions. 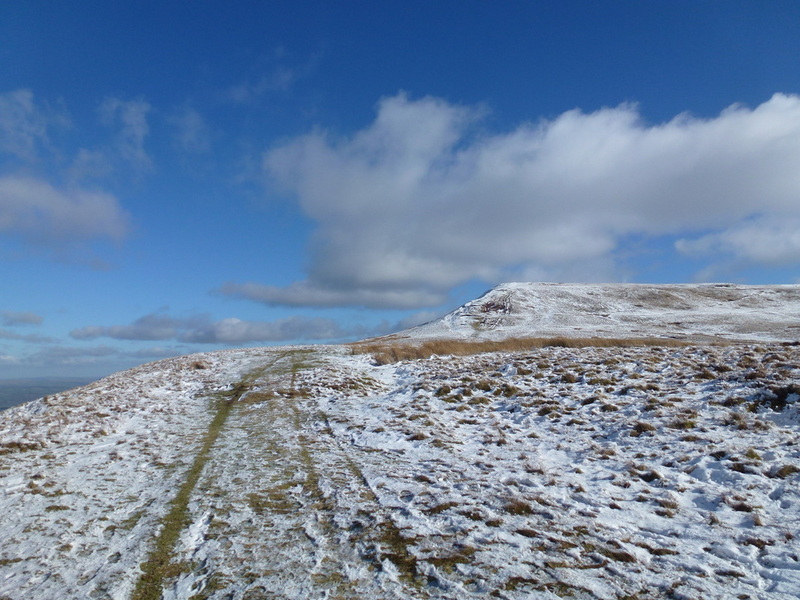 Blue skies were promised today therefore we planned a full circuit of about 17 miles taking in 5 Welsh Nuttalls in the process - that was the intention anyway but a plan is an ever changing series of events and we therefore would see how it went today and react accordingly. 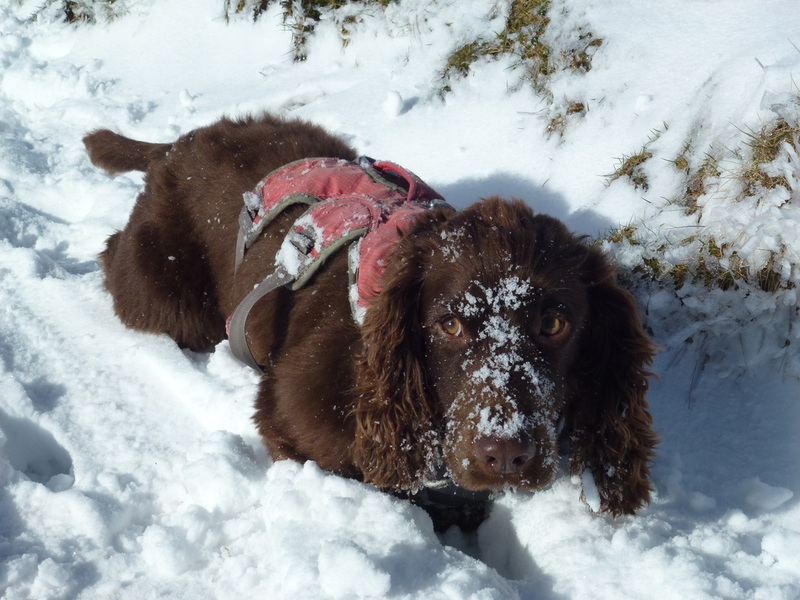 The snow was still on the ground giving everywhere a real wintry feel above 300m therefore we were hoping to get some good pictures today. 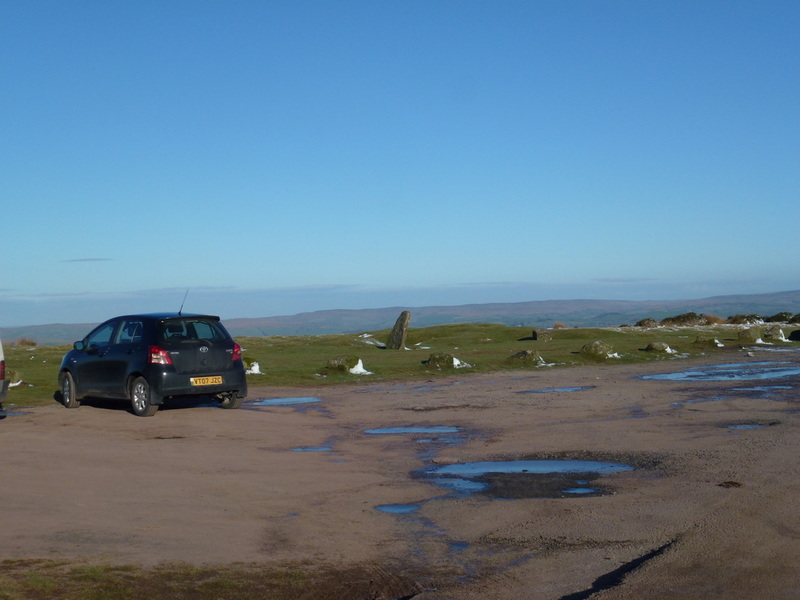 The walk started from the Stone Circle below Hay Bluff where there is plenty of parking. 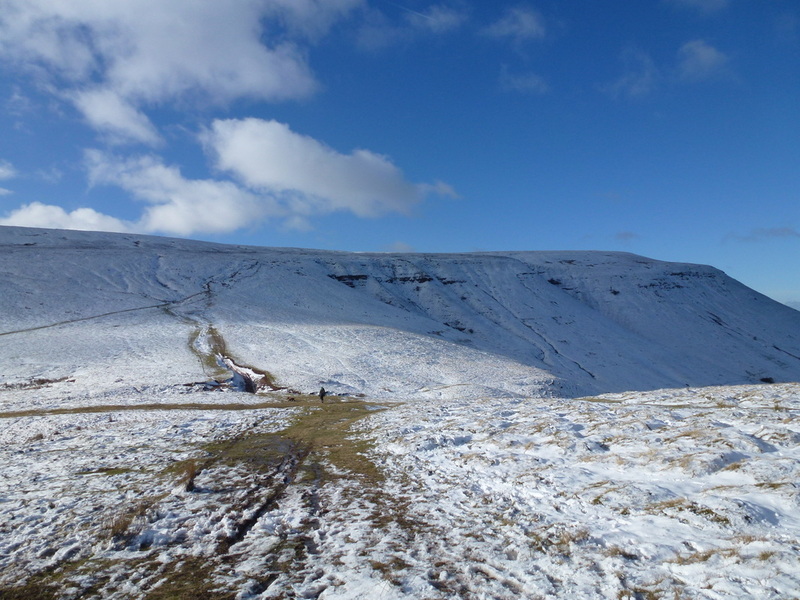 If this is full then there are more spaces along the verge a bit further up the Gospel Pass road. 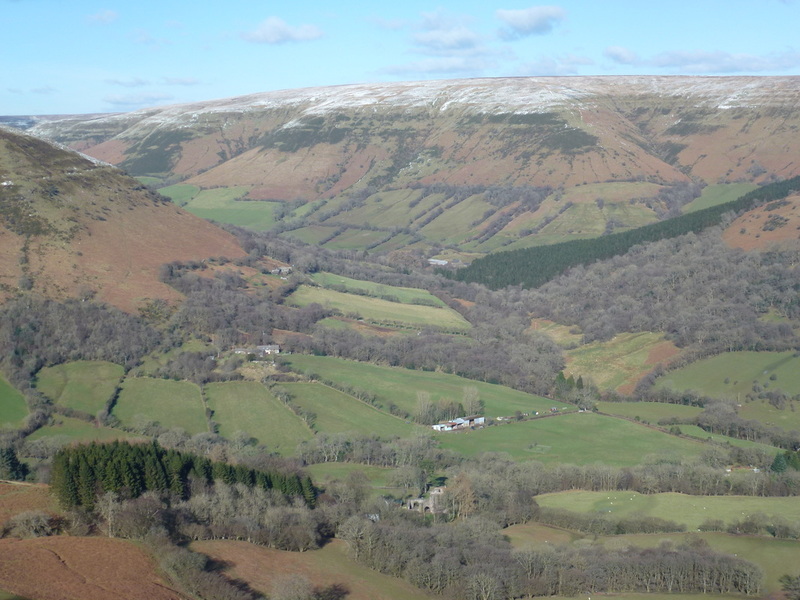 To reach the Stone Circle from Hay on Wye take the road to Capel y Ffin that leaves from the outskirts of the town. 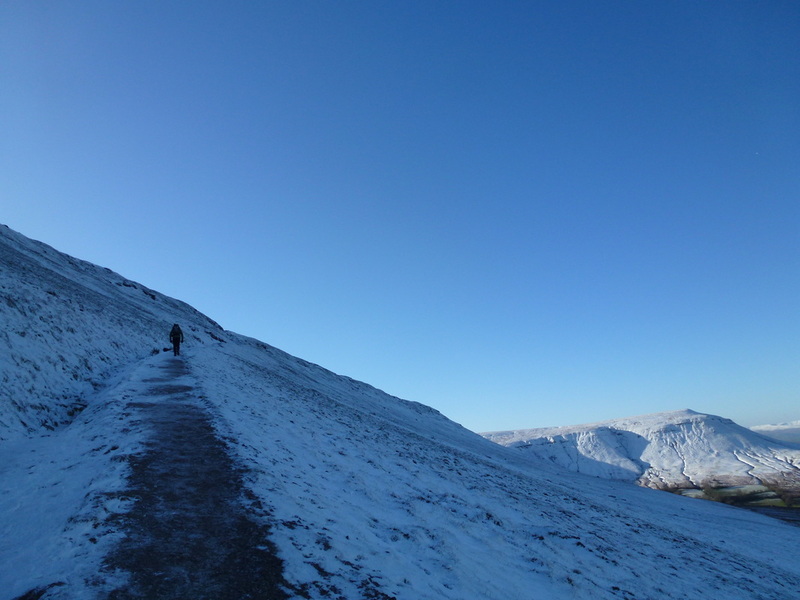 Leaving the Stone Circle we were straight into the steep stuff and made our way to the point where an erosion barrier stops any further progress directly upwards. 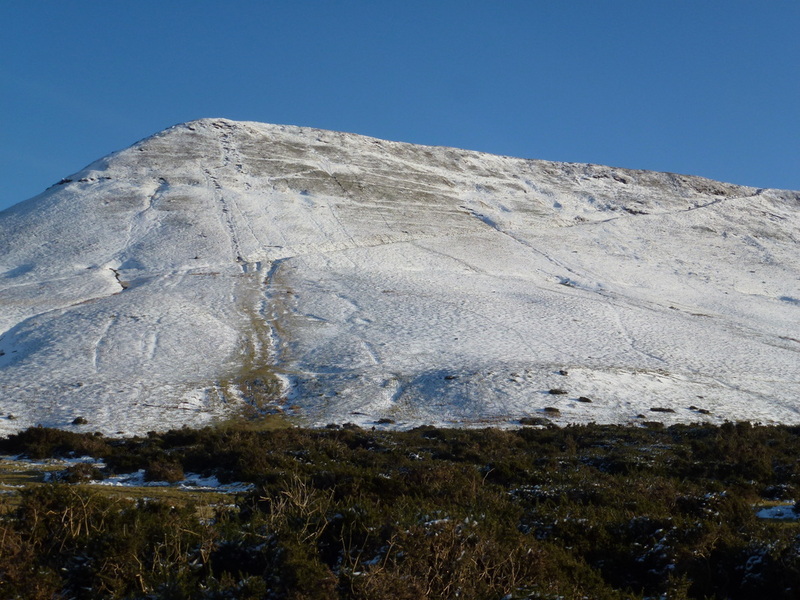 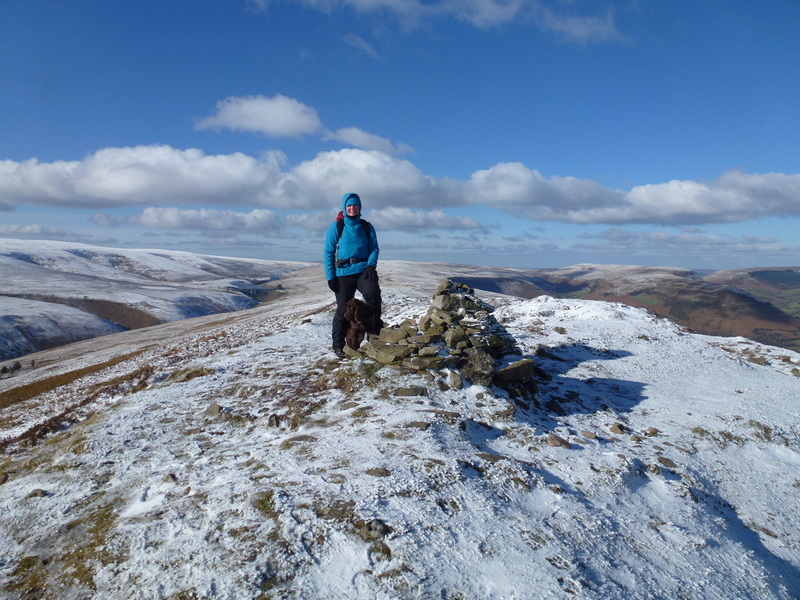 A good path to the right strikes less steeply across the face of Hay Bluff to reach the ridge of Ffynnon y Parc where a sharp left turn led us to the icy cold summit of Hay Bluff with its impressive white Trig Point emblazoned on all 4 sides with the Welsh Dragon. 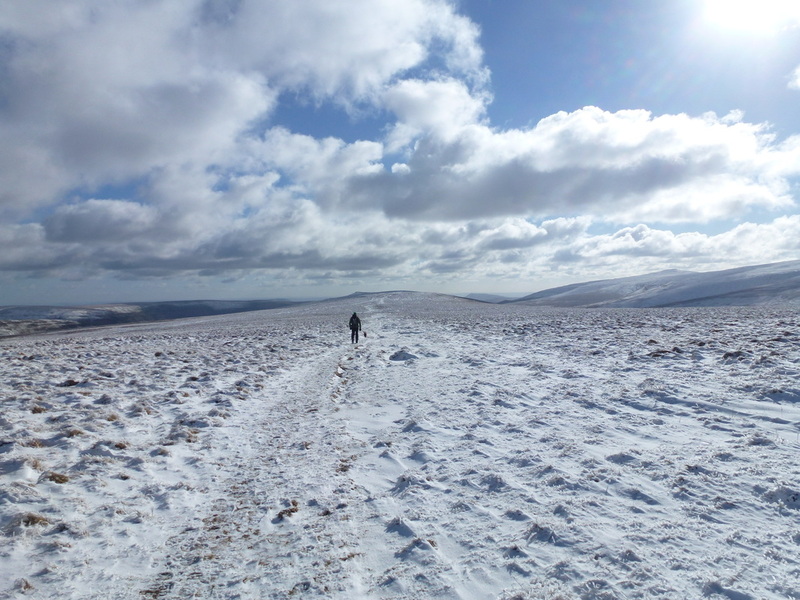 Returning to the path junction, the route over to Twmpa and Rhos Dirion stretched out before us and the views along the ridge were glorious. 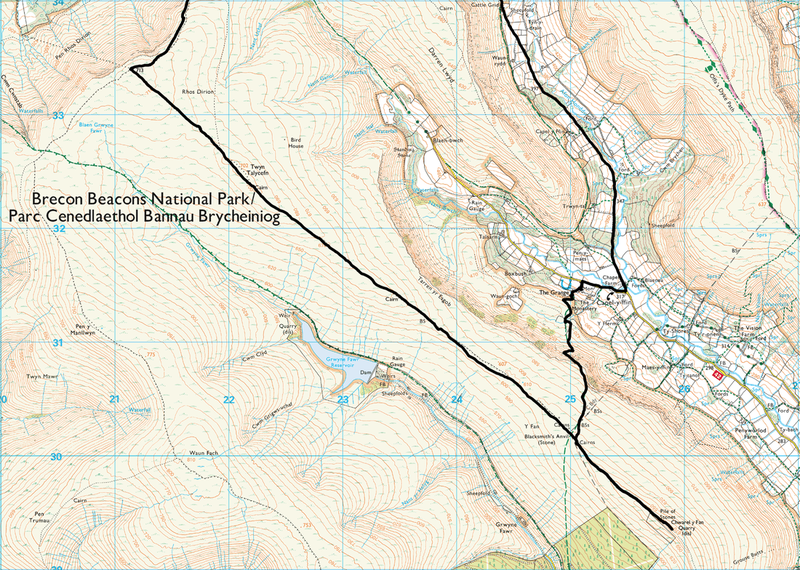 The route along Ffynnon y Parc was level going until we dropped steeply down a grassy path to the Gospel Pass road. 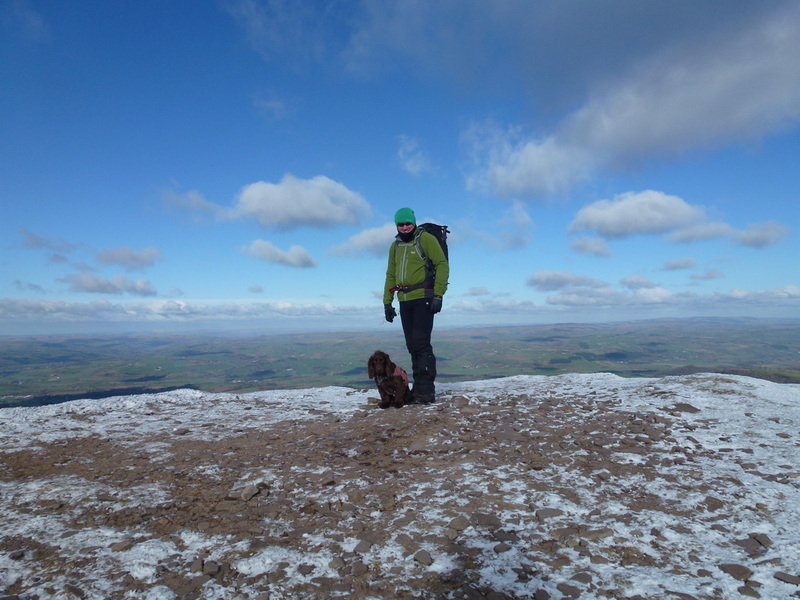 What goes down must go up therefore we then enjoyed a steep climb to gain the summit of Twmpa, also known as Lord Hereford's Knob. 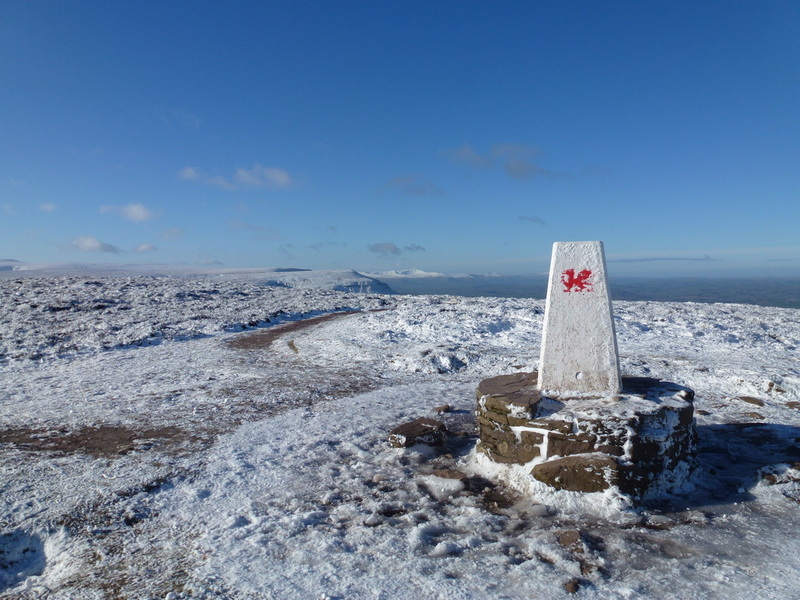 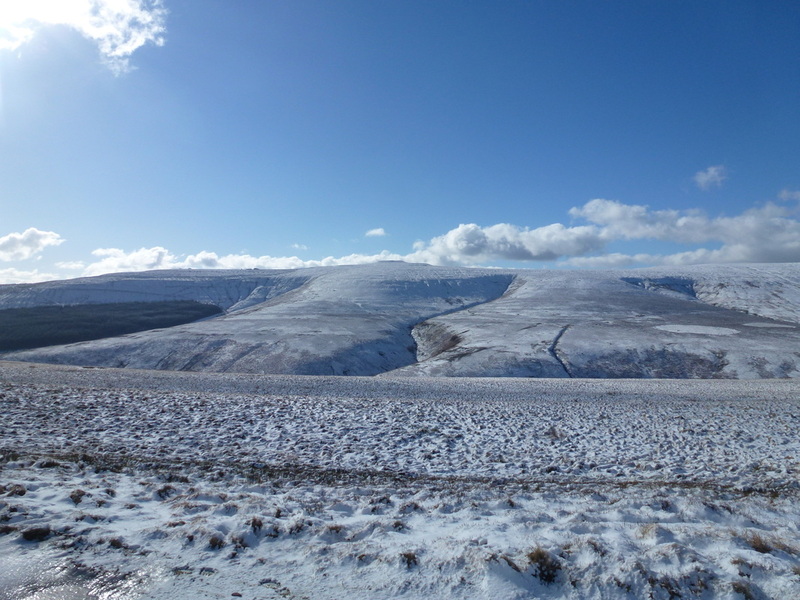 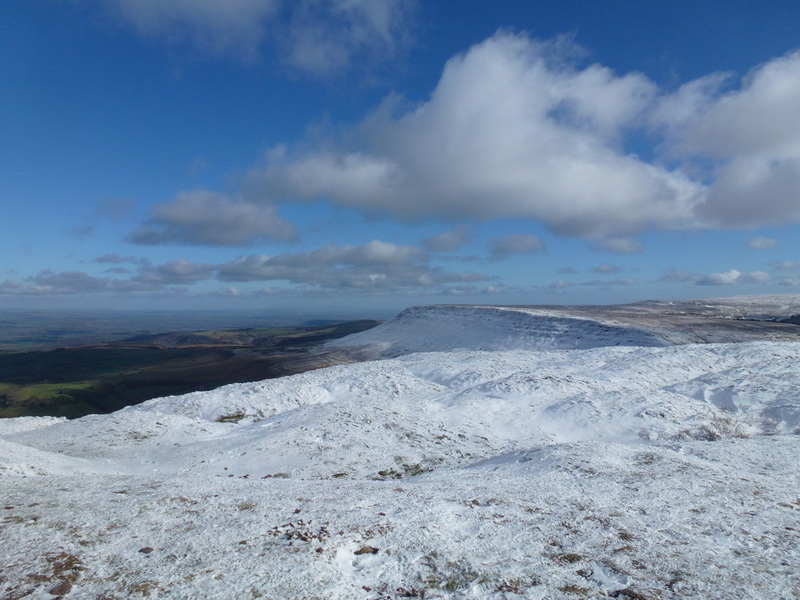 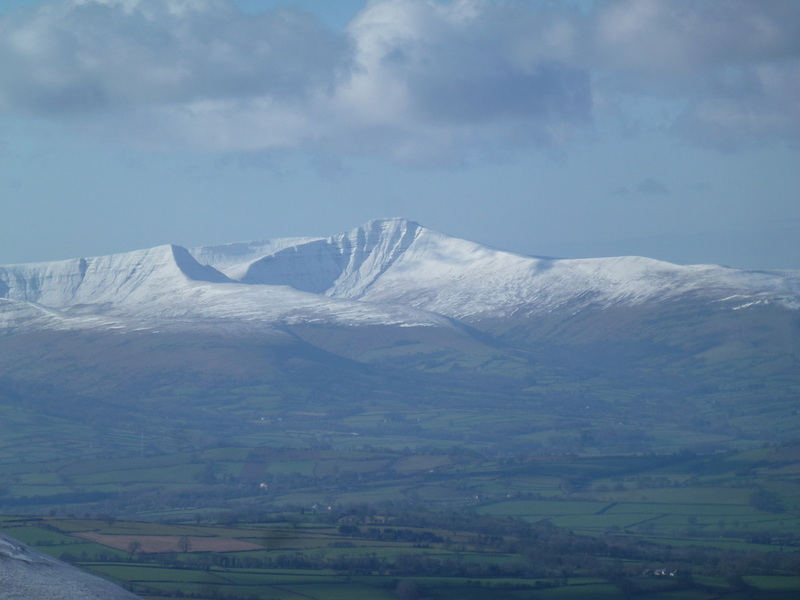 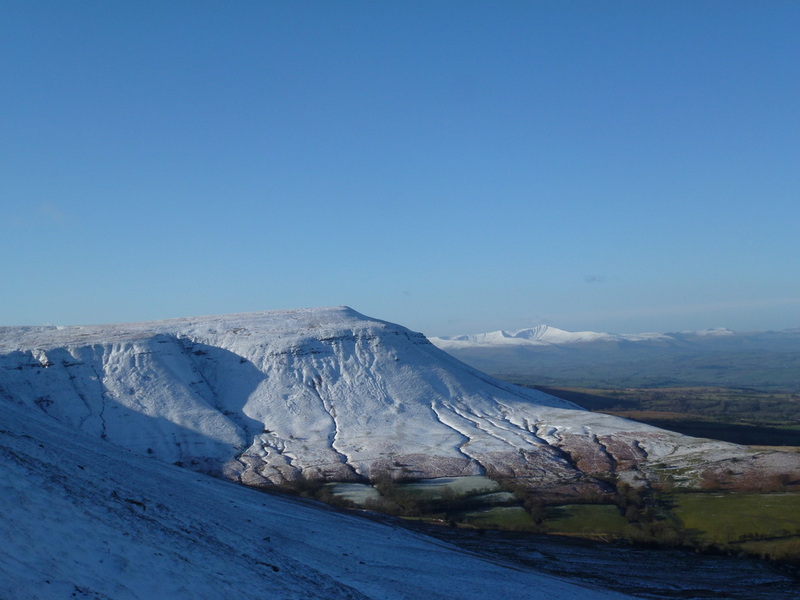 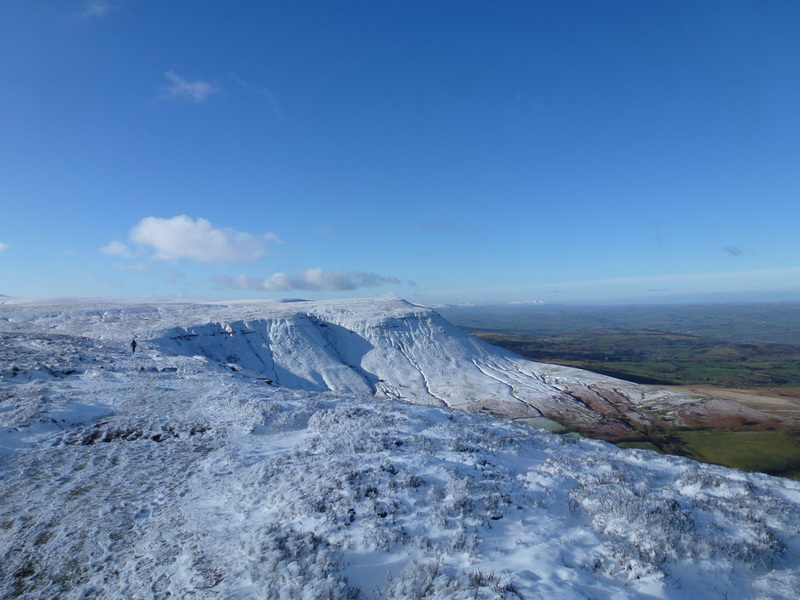 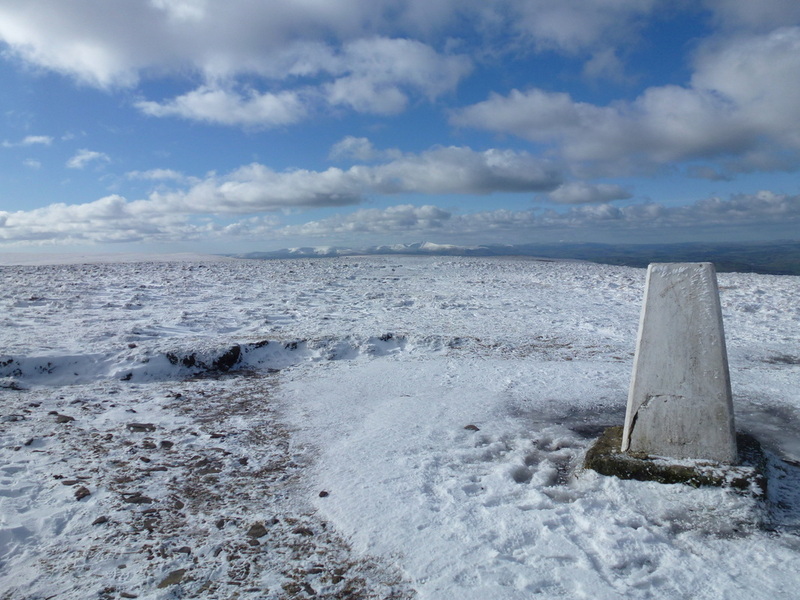 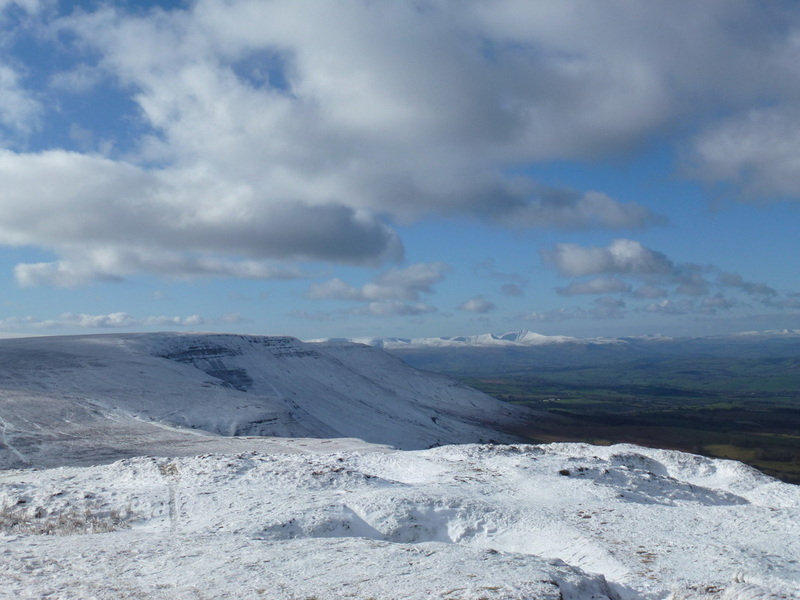 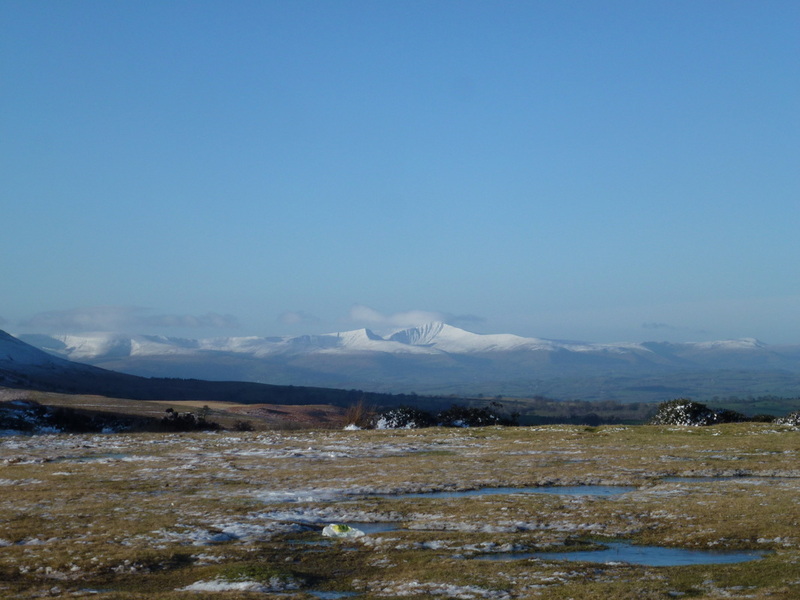 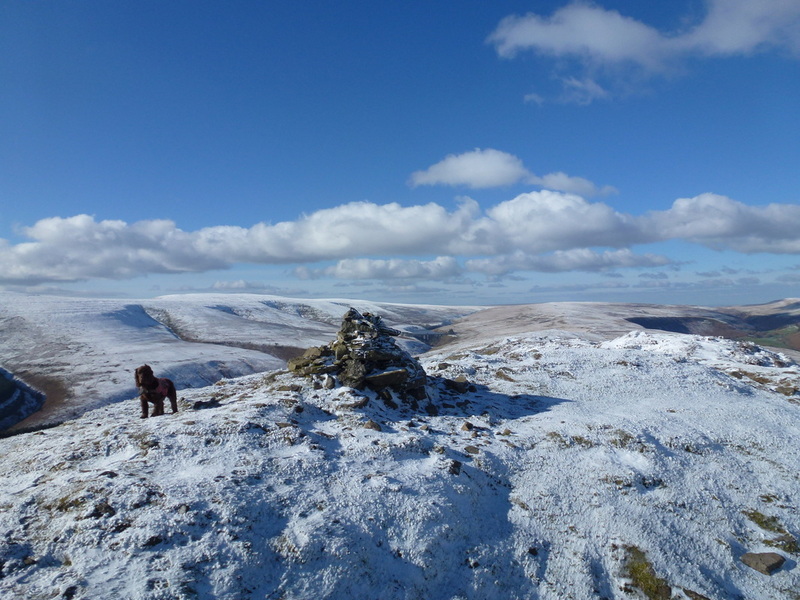 From Twmpa the views back to Hay Bluff and over the top of Rhos Dirion to Pen y Fan are simply superb, particularly today when the visibility was excellent. 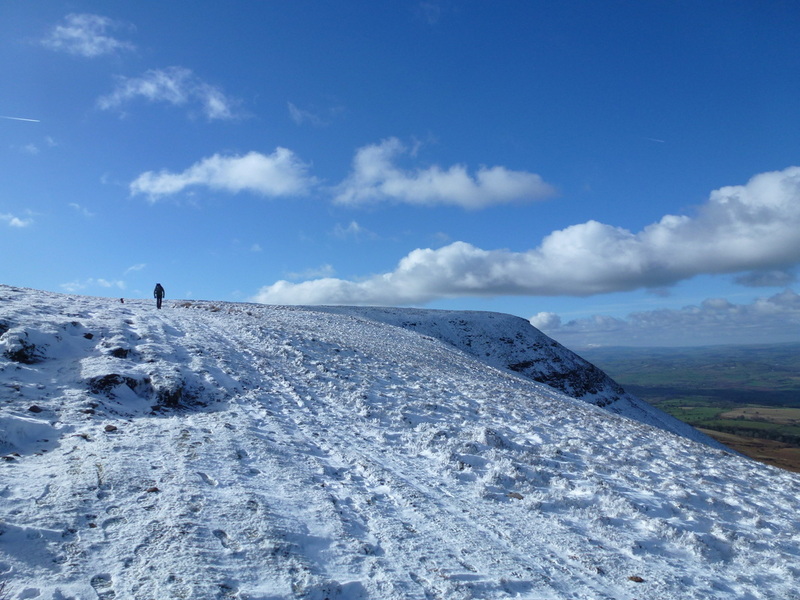 The route now descended, steeply at first to hug the escarpment for just over a mile before arriving at the summit of Rhos Dirion where the views continued to excel. 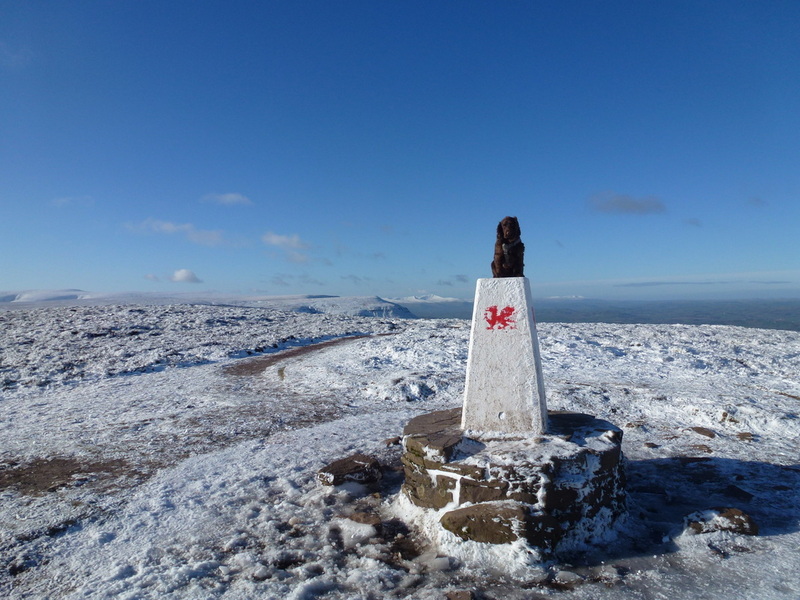 There now began a long, long trudge to the South East via Twyn Talycefn and the Blacksmith's Anvil to reach the summit of Chwarel y Fan. 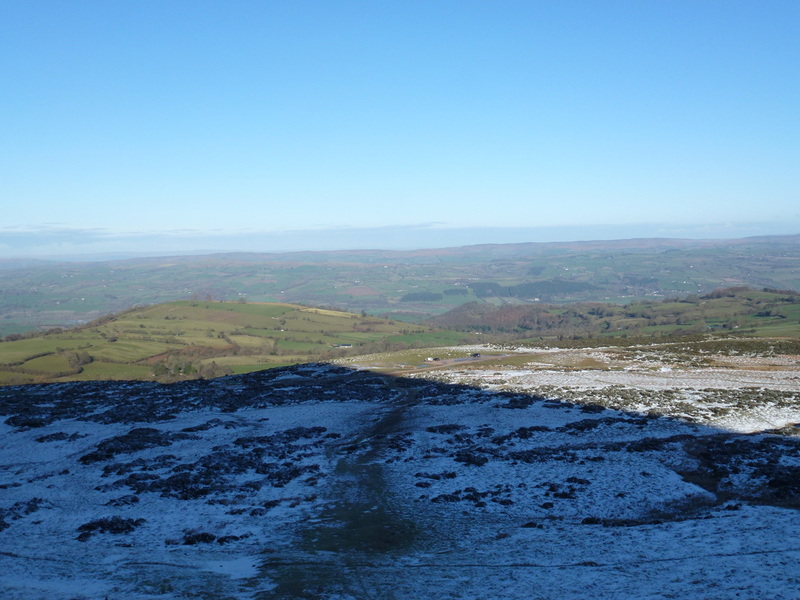 Whilst this is a long flat transit, the views over to the Waun Fach range to the right and the Offa's Dyke path to the left kept our interest maintained and The Sugar Loaf pops out near the end of the slog. 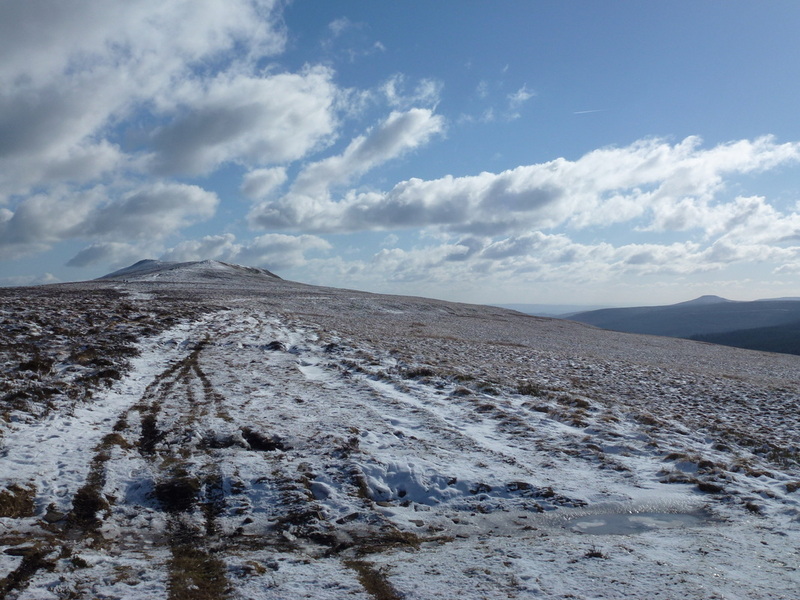 Arriving at the summit of Chwarel y Fan there is a fine view along the continuing ridge to Bal Mawr, Ysgyryd Fawr and Sugar Loaf. 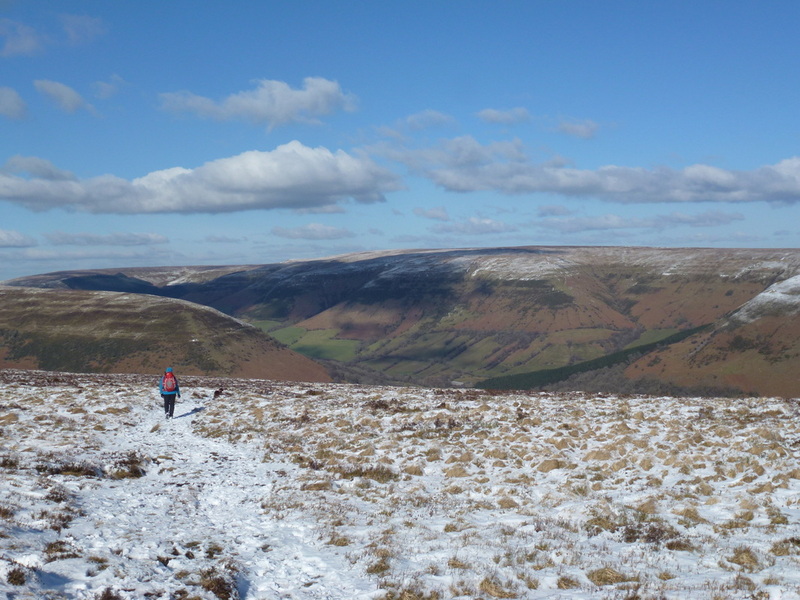 Returning back to the Blacksmith's Anvil a good path marked by cairns left the ridge to descend steeply to the hamlet of Capel y Ffin with its Monastery and tiny church. 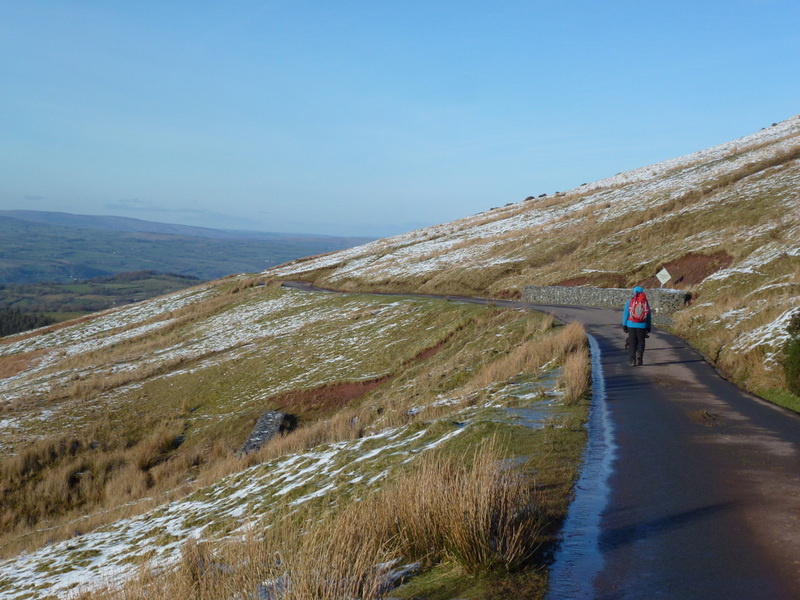 Arriving at the hamlet we took stock of the time and our remaining light and decided that instead of making our way up on to opposite ridge to make our way back via the Offa's Dyke Path, we would take the Gospel Pass road back to the Stone Circle. 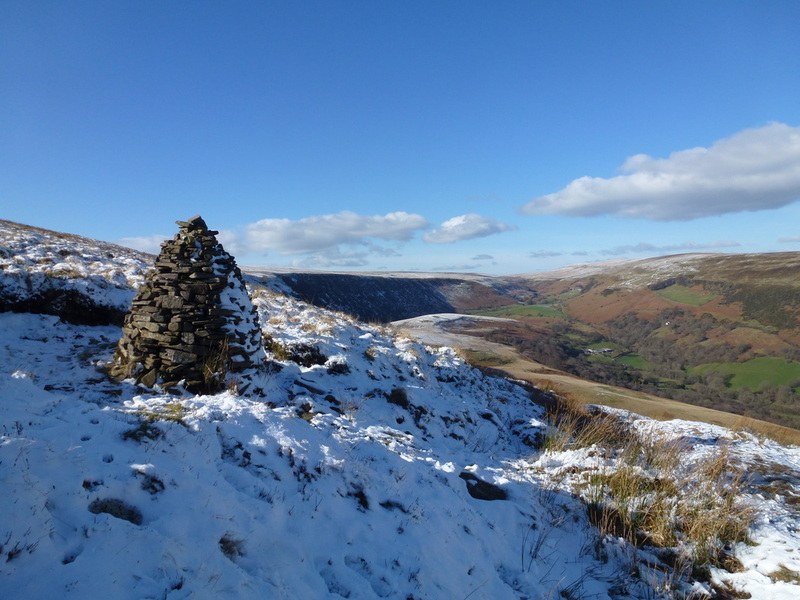 Sure, it is not as exciting or as interesting as the ridge but the walk along the quiet road is still a fine route back once the Gospel Pass itself is reached where fine views over the valley greeted us as we turned North to head back to the Stone Circle. 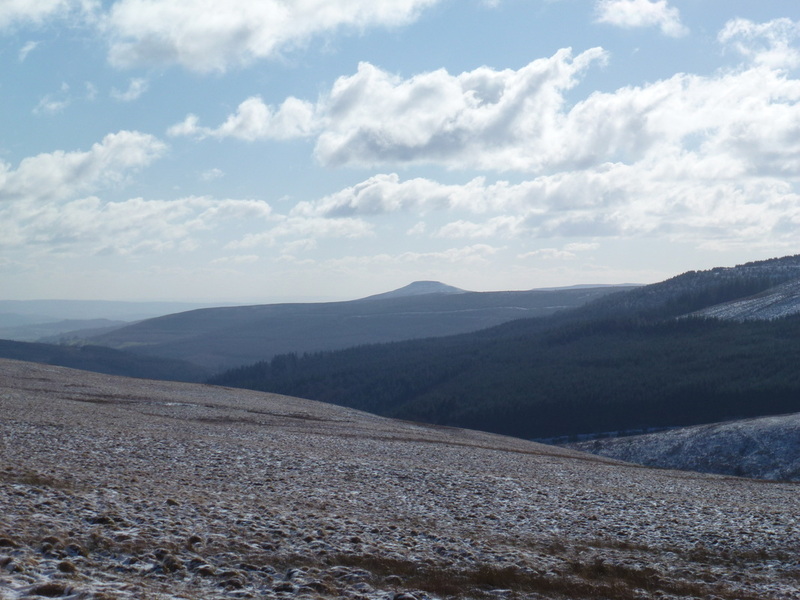 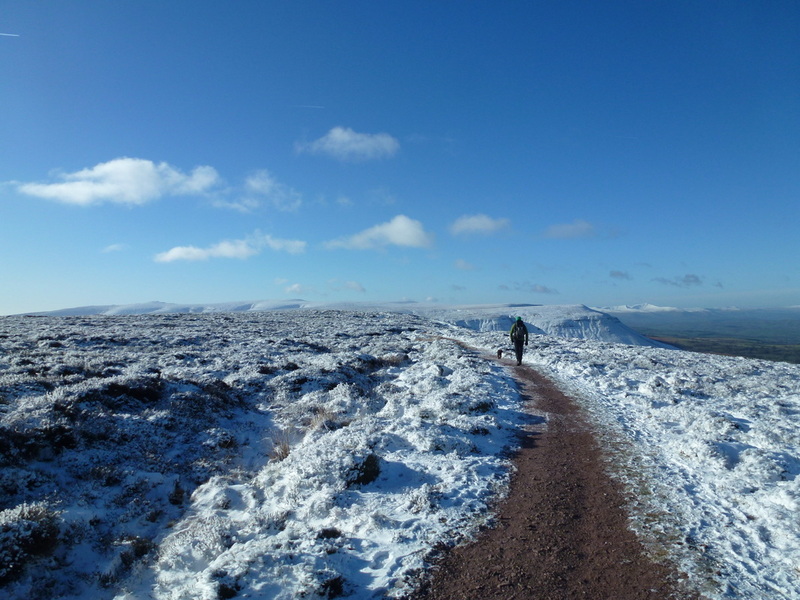 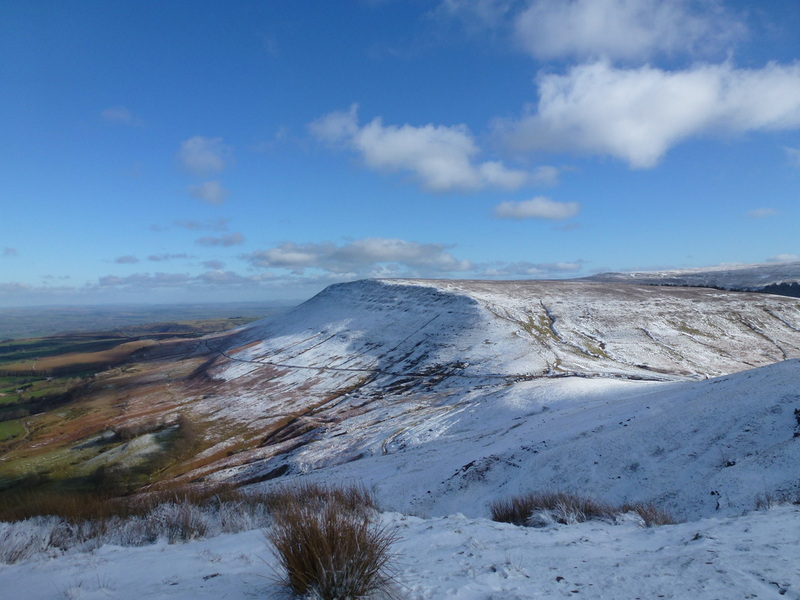 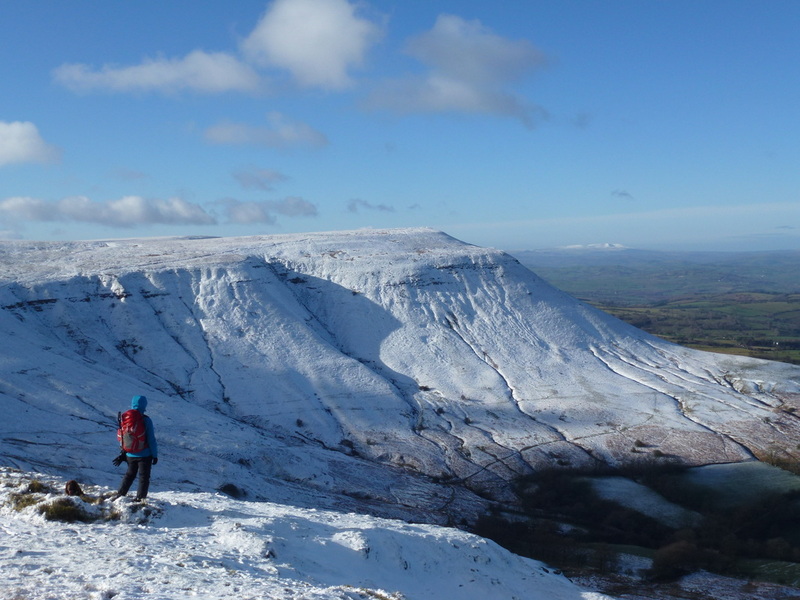 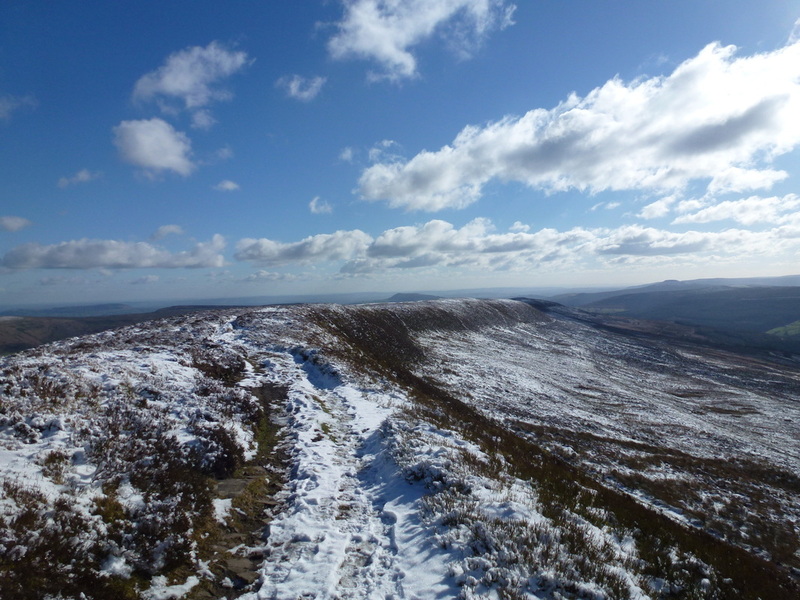 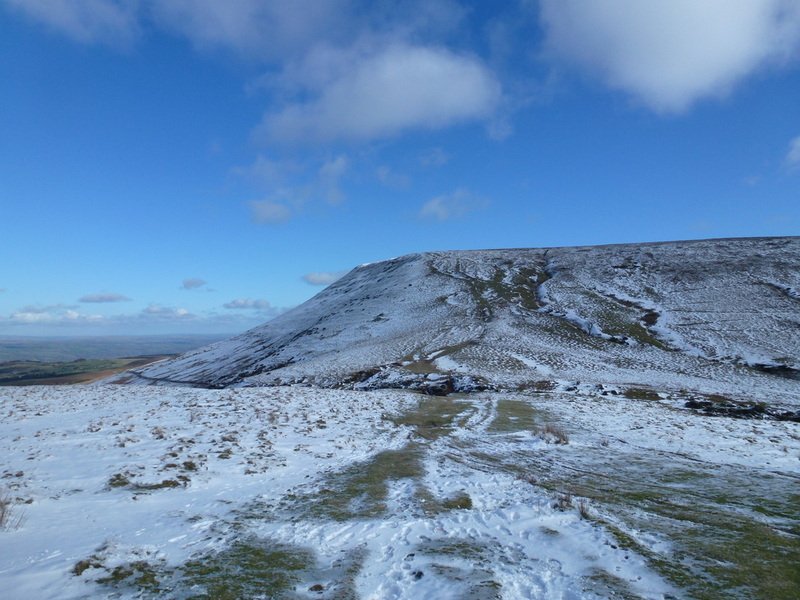 On a good visibility day this is a fine walk with only a few short, sharp ascents and descents with the remainder of the route along escarpments and ridges that give superb views over the Black Mountains range. 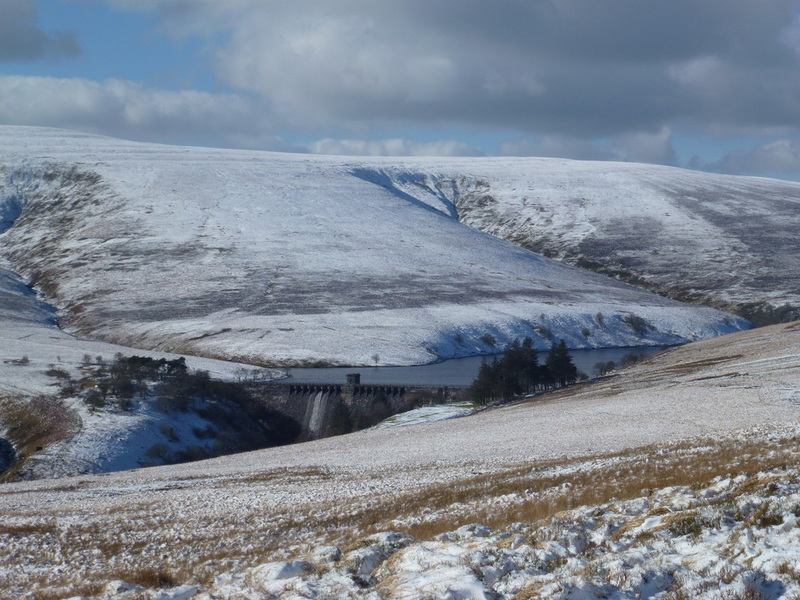 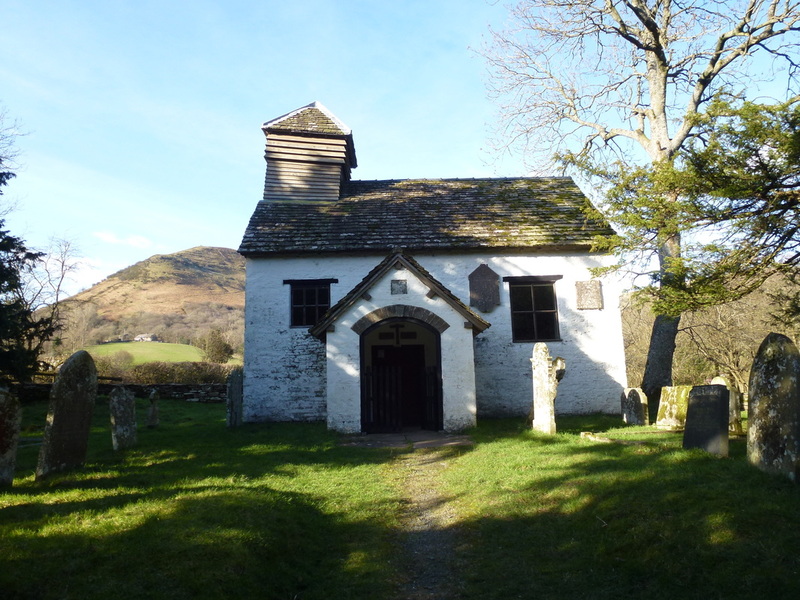 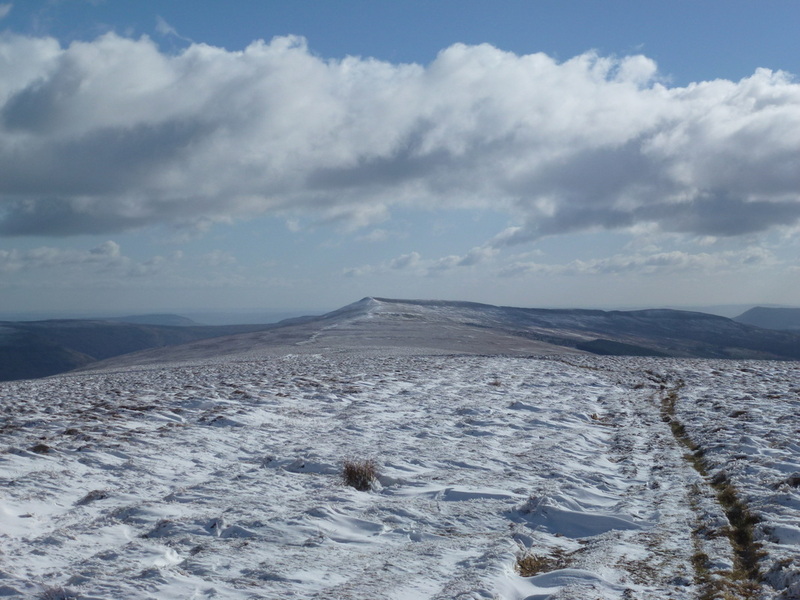 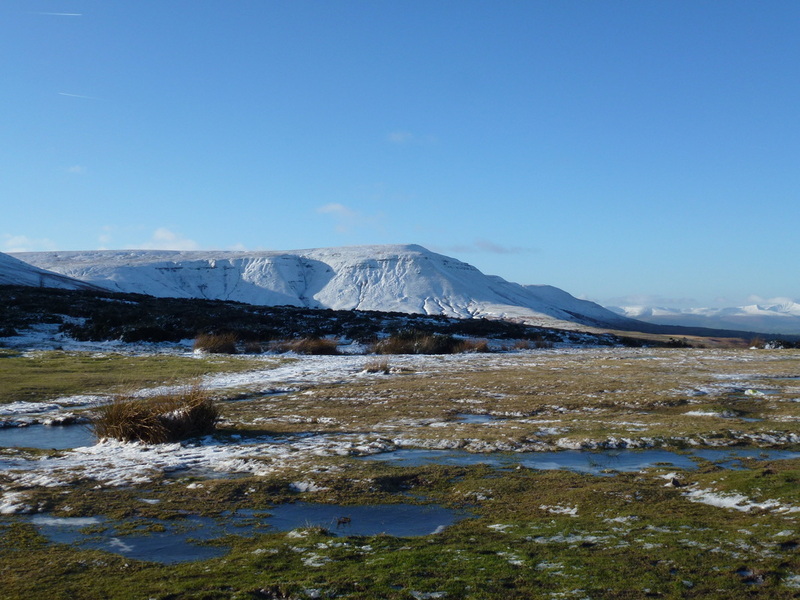 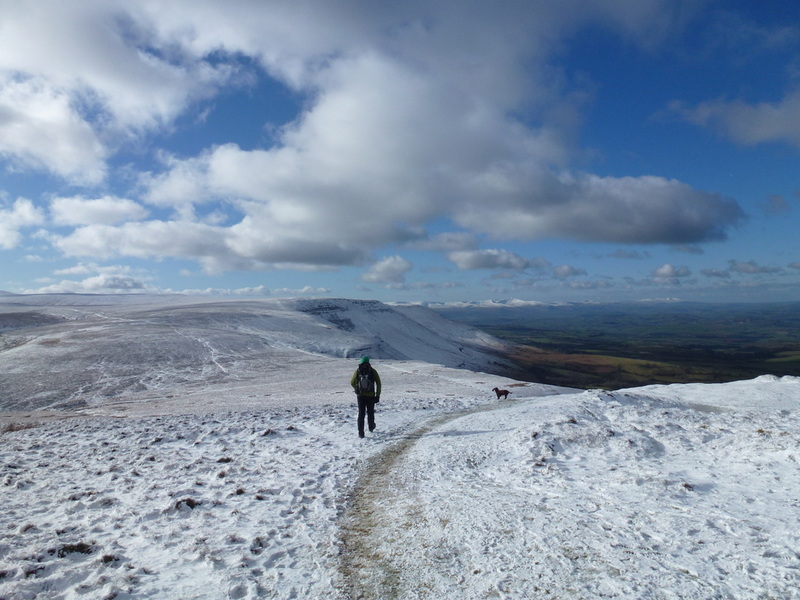 The walk can be increased in mileage by starting direct from Hay on Wye or split over 2 days staying at The Half Moon Inn at Llanthony - a link to the 2 day walk can be found here.